This model is not to be used in any commercial or for-profit packages. It may, however, be used in any freeware mod. 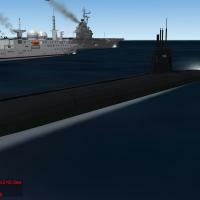 SF2: North Atlantic and the March 2012 patch. If you have not installed/do not plan to install either, these models may not work properly. Simply extract each folder into the matching folders in your mod directory. that entered service in 1997, 1999, 2004, and 2010. (the Force océanique stratégique) of France’s nuclear deterrent strike force, the Force de Frappe. These ships are the most expensive submarines ever produced costing more than €4 billion. Their home port is Île Longue, Brest, Western Brittany. 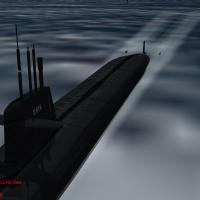 (English: “Next Generation Device-Launching Nuclear Submarine”), abbreviated as SNLE-NG.